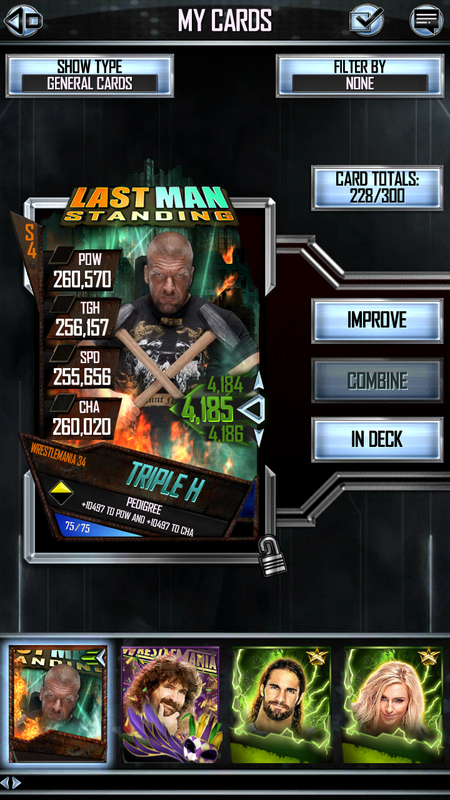 Actually, I could try to make it a 4 card weekend, as getting and leveling the 33 undercard would put me over once it replaced an Elite pro (one of the bottom 2), but that would mean getting 144 shards..."F" that. James Steele would love this card. That post was a while ago, dude. I haven't played the game in several months now. And now there's a WM 34 tier. LMFAO, go figure. Still grinding it out. WM34+ tier. I got to Goaliath then just gave up. I'm sure I'll pick the game back up, but just grinding all the time took my motivation again.